If the 38th edition of the Gulf News Fun Drive has you eager to get behind the wheel to prep for next year’s desert adventure, then here’s a guide to get you started while the weather is still in your favour. The best place to get behind the wheel and clock those miles amidst the dunes is through the various off-roading clubs found in the UAE. Most of these groups, formed by like-minded individuals who have a thirst for adventure, are welcome to new members joining the weekend drives. Many also organise drives for beginners and intermediate off-roaders, with experts always on hand to give guidance. If you want to sign on for professional classes, the Emirates Driving Institute and Al Ahli Driving School are two of several places that run courses on how to handle a 4X4 in the desert. In the sessions, you can master basic mechanical knowledge, the topography of the desert and possible situations during off-roading, along with tips and tricks on how to handle a difficult situation. There are also refresher courses should you simply want to brush up on your driving skills. Several tour companies run courses that will take you through some hair raising turns with finesse. The UAE has a number of sweet spots for first-timers to start out. A personal favourite is Al Hayer Forest, a patch of green located just off the Dubai-Al Ain highway. Due to its proximity to the E66 and the UAE-Oman border close by, drivers who are unsure of their sense of direction would find this stretch easy to navigate as well. For those feeling adventurous can head down to Sweihan, also known as Little Liwa, as a practice round before they attempt the might of the Rub Al Khali. 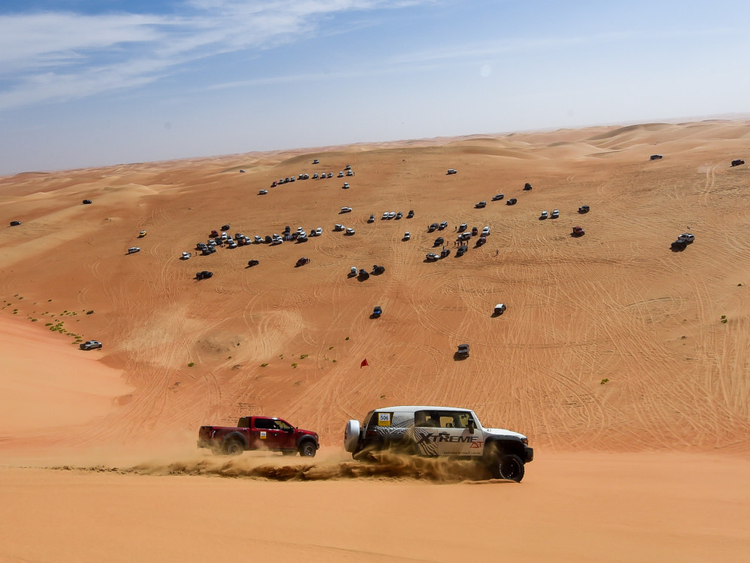 The most famous dune — and holding up to Liwa’s Moreeb dune — is Naqrah, which needs to be attempted once you have clocked a few miles of off-road driving. Another easy route starts at Bidayer or the Big Red, which is a popular spot over the weekend due to its proximity to Dubai — around 40 minutes. But be warned, you will probably be tripping over other enthusiasts and dune buggies, so be prepared.